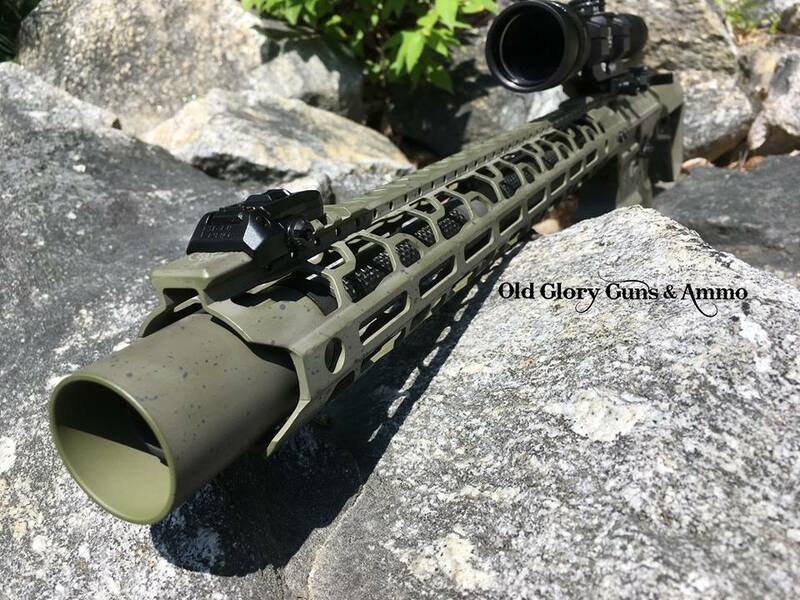 Whether you are looking for a high quality custom build, or you need some work done to a firearm you already own, our full time gunsmith can help. 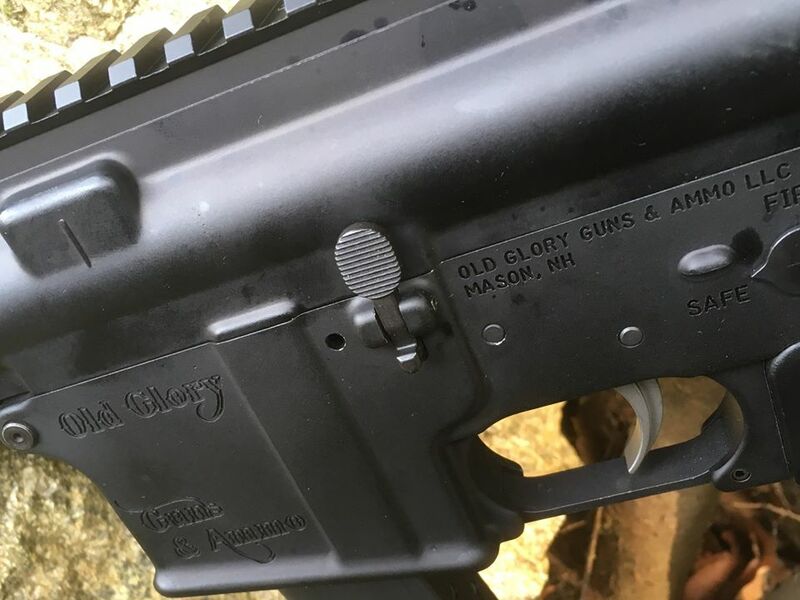 Old Glory Guns & Ammo is a federally licensed firearm manufacturer. 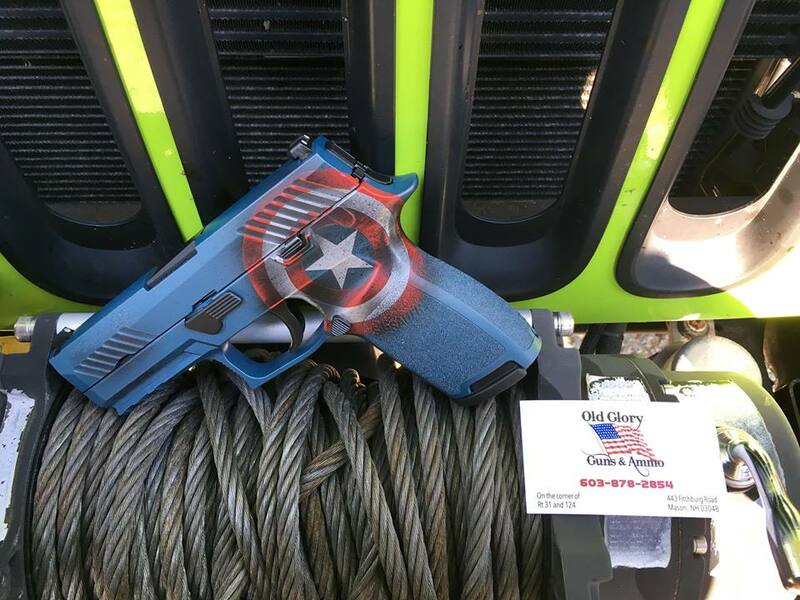 We are also happy to announce we are an applicator of Cerakote coatings! Scroll down to check out our new line of Old Glory Guns and Ammo AR-15 Rifles! Top notch quality, spec, and finish. Go above the rest, Live Free or Die! 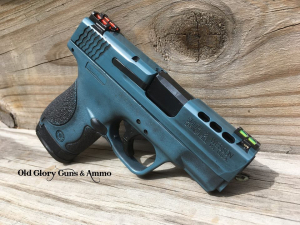 Armor Black, Tungsten, and Smith & Wesson Red. 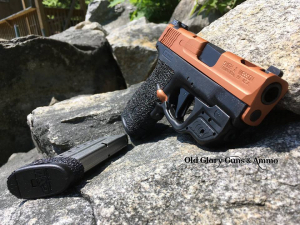 Ported Shield 40 with some custom copper Cerakote and grip texturing. Jesse James Standard Blue and Black distressed cerakote on a Performance Center Shield. Glock 29 with some slide lightening, barrel upgrade, recoil spring upgrade, grip texturing, and Blue Titanium Cerakote. 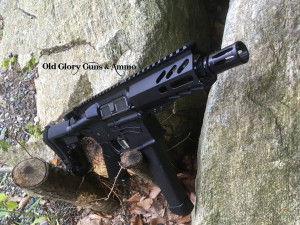 New Old Glory Guns & Ammo 9mm OG-15(AR) Pistol. This pistol features the new SBA3 arm brace and Glock magazines. 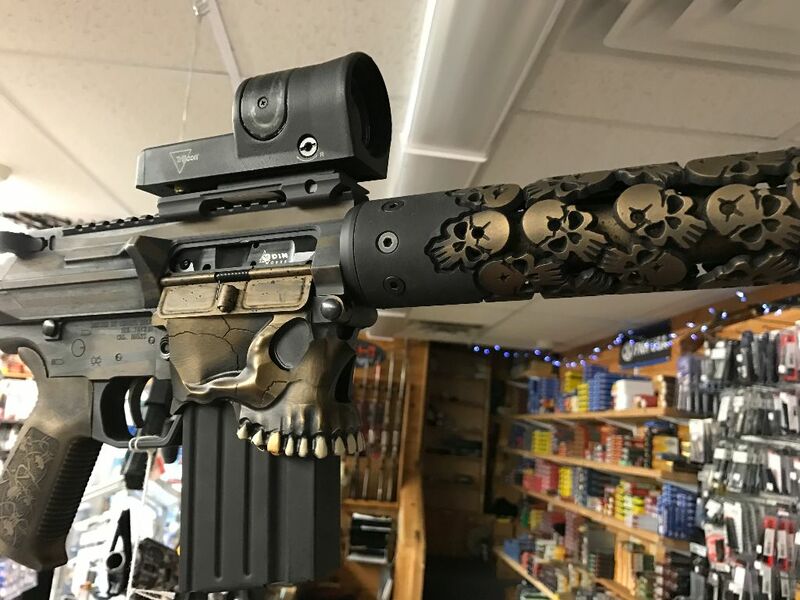 Cerakote, its for more than just guns... This is a M1943 entrenching tool that needed a little help, ready for another 70 years. 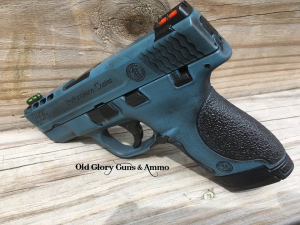 Elite Smoke Cerakote. A little 80s throwback, Devastator from Transformers! Zombie Green and Bright Purple with a hint of Crimson and Battleship Gray. OG-15 in Snap-On colors mesh camouflage. 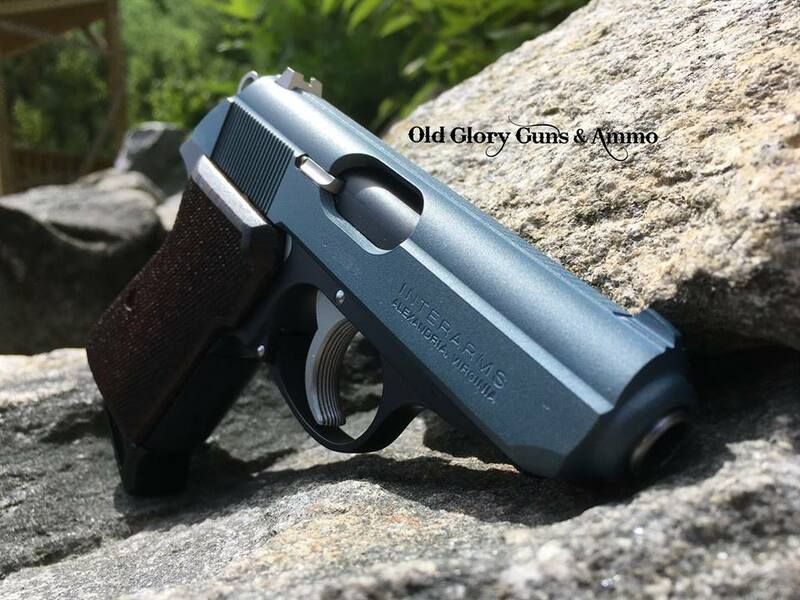 Ruger Mark 1, a little old school, with a little flair. Another custom candy coated pistol, copper / bronze candy. Looks just like copper plating. Walther PPK/S that we checkered the front and back straps. 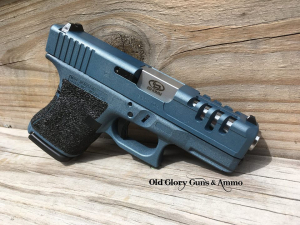 Blue Titanium slide and Socom Blue frame. 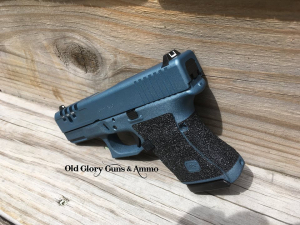 Glock 23 with RMR cut and grip texturing. 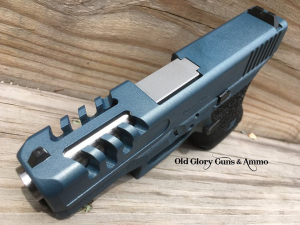 Kept the finger grooves and did a trigger guard undercut. 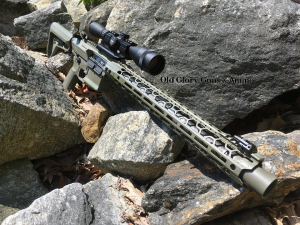 Custom Cerakoted Ruger Charger with a chassis and SB arm brace.